Earlier this evening, Rachel Maddow tweeted that she has obtained “Trump tax returns” and will be airing them tonight on her show on MSNBC. Which is great news if you’ve got cable and want to find out more about President Trump’s 1040 from 2005. Tune in. You’re all set. If that’s not the case, here are a few other ways you can watch Rachel Maddow tonight. Option 1: Log in using your cable provider. If you (or a kindly friend who will loan you a password) has cable, you can log in on the MSNBC Now website and stream the show live. You can also use that login on the MSNBC app and AirPlay to an Apple TV, since there is no specific MSNBC Apple TV app. Option 2: Find somebody who is streaming the show via Periscope. 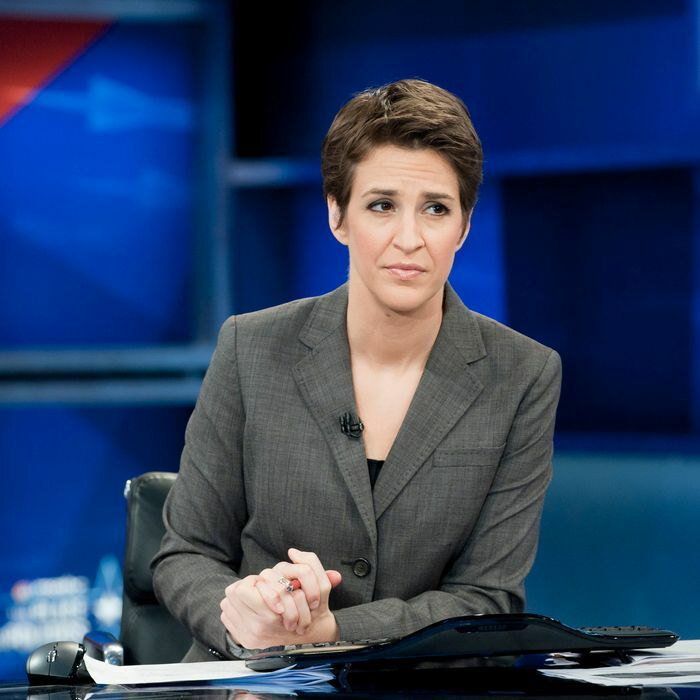 Try searching Twitter for “Rachel Maddow Periscope” around 9 p.m. and seeing who is live. Option 3: Consider a streaming service like DIRECTV Now or Playstation Vue. Both of those offer MSNBC and — not that we’d ever recommend this — also happen to have free trials, which you could cancel if you decided you didn’t want to keep using them after tonight. Option 4: Just wait and read the tweets that will inevitably begin pouring into Twitter once the show starts. Or don’t — Twitter is already pretty unbearable right now, and the show hasn’t even started.